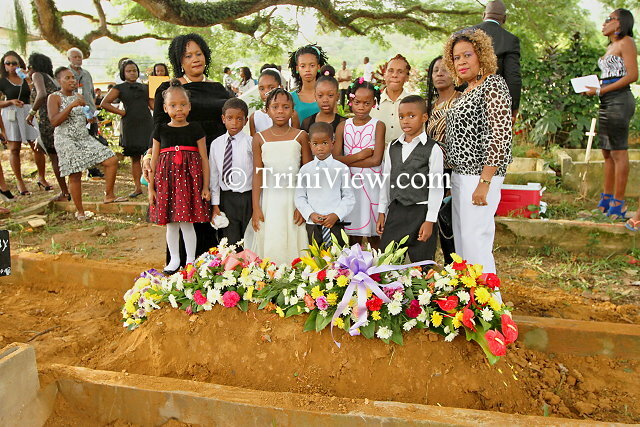 Despite the inclement weather, scores came out to bid farewell to the man who had defined their community with a lifetime of toil towards improving the lot of the people of Carenage. Despite humble beginnings, he concentrated his efforts towards elevating the Carenage community which has long borne the hallmark of political and social neglect. 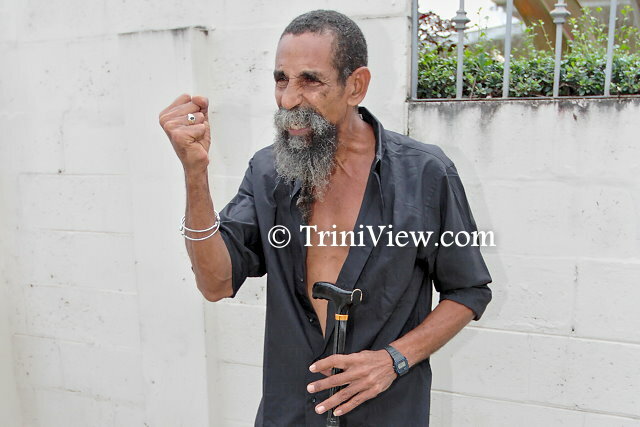 His outspoken approach to dealing with problems distinguished him and the story of his battle with the Chaguaramas Development Agency is legend. 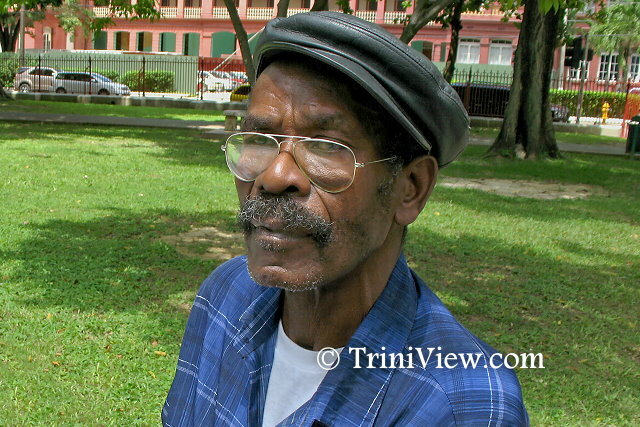 Augustin Noel was born on August 27th, 1934, at Hart’s Cut, Chaguaramas. He grew up on family land in Chaguaramas until 1944 when at the age of ten, he and his family were forced to leave their land by the colonial authorities who had leased the Chaguaramas lands to the US military in support of their efforts during World War II. 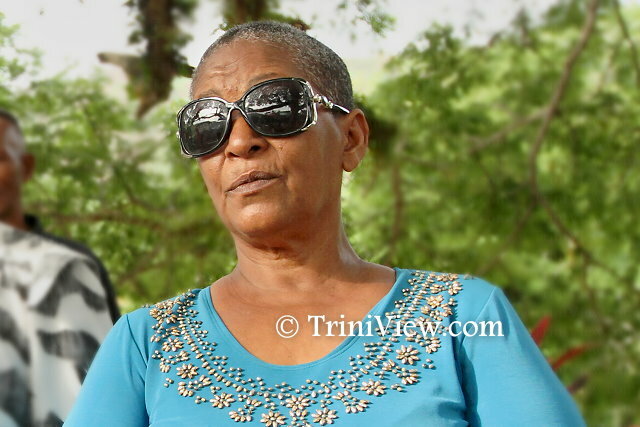 His family, having been driven off their lands, relocated to the nearby Carenage area. He grew up in simple circumstances as a member of a poor fishing and agricultural community. He was later hired to work as a pipe welder in the petroleum industry. He often shared the story of how his supervisor loaned him to another supervisor in the company to complete a job. Upon completion of the job, it transpired that another welder had been sourced and sent to his position whilst he was away. Both supervisors fought each other to retain Augustin in their respective departments and he realized his value as a professional in the field. The realization marked an epiphany in the life of Noel who was deeply concerned about the community he grew up in as he witnessed youths who had few economic opportunities He returned home and started a school called The Carenage Welding and Electrical Training School to train the youths in the Carenage area. His school was unique, in that he refused to charge a fee to the students. We lived in this village for decades and knew each other in the community. Thirty years ago we sat and discussed the direction the village was going in and that there was no voice for the people; there was no one to stand up for them or with them. He saw that the volatility of the youth in the community would result in the village becoming a hot spot, so he opened the school in an attempt to give them a trade, get them off the street and give them hope. The school did very well and for two consecutive years it won the President’s Award. He was also singled out and recognized by then President, Sir Ellis Clarke, and commended for his efforts and hard work in uplifting the community. 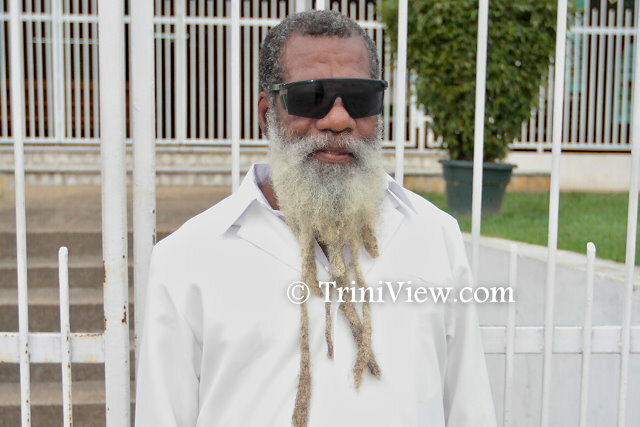 He refused to charge fees even though Father Gerard Pantin of Servol strongly advised him to do so, since charging fees would have put the education he wanted to offer out of the reach of the youths we wanted to attract. It was a costly thing and despite seeking funding he didn’t get the support he needed to keep it open. He went to many people, many investors who felt that because there were no financial profit to be had from running the school that it was not worthy of support. And he tried, he tried to show that the profit would be to the community but there was no support. After the closure of the school, he was undaunted in his commitment to assist the community, and he formed the Carenage Protection Committee to alleviate some of the problems in the village. The Committee took the role as the voice of the village and functioned as a village council in managing neighbour disputes and other community problems. The members organized village clean-ups and gave advice when solicited. 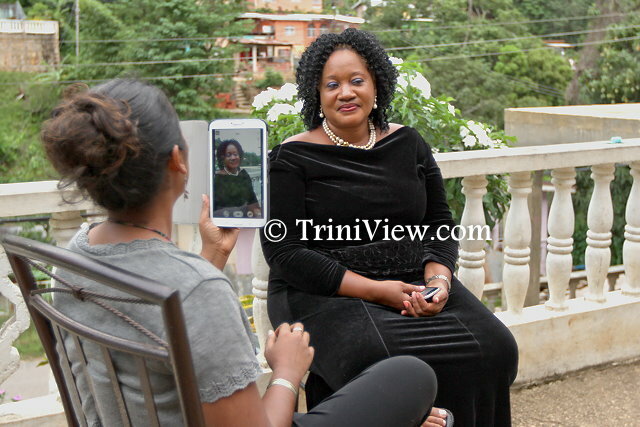 Several projects were undertaken and it was here that the matter of the approximately two hundred Chaguaramas families who had been similarly evicted from their homes by the colonial authorities came to the fore. 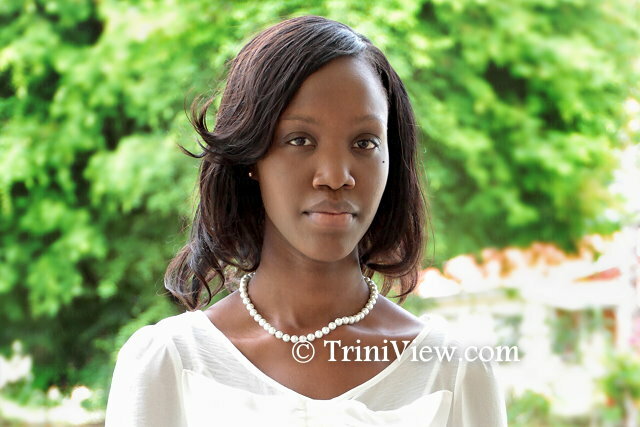 From this, the Chaguaramas Legal Landowners group was formed. 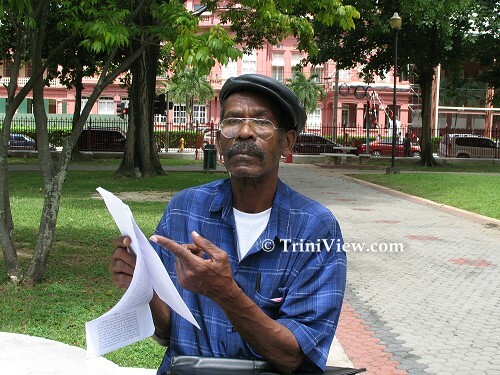 He devoted himself to the cause of the dispossessed families as both he and Germaine ‘Jenny’ Oliver researched the circumstances surrounding the seizure of the Chaguaramas land. It came to light that of the majority of the families who had been displaced were never compensated and furthermore it was learned that they were entitled to the return of their lands when the Americans relinquished their lease with the State. Augustin Noel then started the community campaign to seek the recovery of the land from the state. 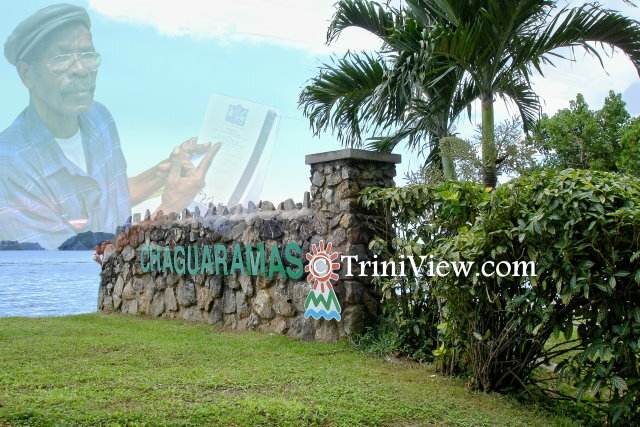 The Government of Trinidad and Tobago had, by this time, formed the Chaguaramas Development Agency with the specific mandate to manage and spearhead the development of the lands previously held by the Americans in Chaguaramas. The struggle that began had hitherto been unimaginable. Challenges to the cause included lack of money, limited legal knowledge and very little support. The battle increased momentum; it began to consume his life and complicate his interactions with the public as he became increasingly impatient with the laissez-faire attitude which characterized John Public’s response to the distress of the people affected by the issue. He was described by many as being ahead of his time and up to the task of an ever evolving and highly complex legal battle. He was the driving power behind the coordinated efforts with lawyers and the organized protest marches, pickets and rallies to sensitize and highlight the plight of the families he represented. He even went as far as to camp out in Chaguaramas one night when a rumour surfaced that the army was going to block the road to prevent the march planned for the following day. This disappointment with the authorities was openly expressed at his funeral as persons repeated the sentiment that, by and large, no political group or any governmental agency had done as much to assist them in improving the community. Whenever there had been a problem, even if it had been something as simple as a burst water main on the road, people went to Mr. Noel knowing that his determined approach would garner results. Despite his open door policy, some intimated that he became increasingly isolated. A neighbor spoke of this, commenting, “He was a man of the community but people began to see him as controversial and some stayed away.” Shakira Mark offered another insight, pointing out that he had his shortcomings as any human but he focused so thoroughly on what he was doing that he became impatient and sometimes intolerant when he felt that the people around him were not giving him or their issues of their best. She pointed out that while he advocated for people to help themselves, he never hesitated to assist many in various ways, and, as an outspoken fanatic for family, was annoyed by people not giving enough to their familial responsibility. Notwithstanding his personal tragedy, he girded himself and continued to seek the interests of the former residents of Chaguaramas and, as expressed by many, never hesitated to help when anyone came to him with any other problem. After years of legal wrangling, picketing, marching in the hot sun sometimes as a solitary one man protest, the matter did eventually reach all the way to the Privy Council where the judgement went against them. However, on the advice of former Chief Justice, Mr. Sharma, because the Privy Council had not been given enough information about the matter, he again began to gather his information and prepared to send the matter to the Law Lords for a further assessment. It was at this juncture that a silent killer flared in his body. A neighbor explained, “He had actually called me in the morning, just before he passed and said “Boy, some pressure boy, some pressure. Trouble trouble. He had been ill for the last two weeks and had actually fallen down in town one day. He called the ambulance and I stood in the road to direct the traffic. His appointment was supposed to be Monday to go to Mount Hope but he passed on Sunday.” The autopsy concluded that his cause of death was pulmonary tuberculosis and the mystery of where he could have contracted it was conjectured by those in the know. Donna surmised that perhaps he could have picked it up some years earlier. She recalled that he had been hired to work on some pipelines behind Movietowne while it was being constructed and many of the foreigners working on the site were coughing and sickly. He became worried and instigated a strike and it was alleged that they all tested positive for tuberculosis. She opined that it was possible he could have picked up the illness at that time and it had lain dormant in his body until recently. With this last push towards getting the case reviewed by the Law Lords, the strain to his system was more than his body could handle. Shakira said, “He was a very selfless person, always put others first, if you asked him for ten dollars and he only had ten dollars you would get the ten.” Donna echoed, “He had very little for himself. His physical state was in part responsible for his poor health. He took in fairly quickly.” On the 6th July 2014, Augustin Noel suddenly passed away. Augustin Noel was buried in the Carenage Public Cemetary. Some of the surrounding graves were covered with floral offerings whilst others were planted over with cassava by neighbourhood gardeners utilizing the little bits of dirt to produce food for their tables. 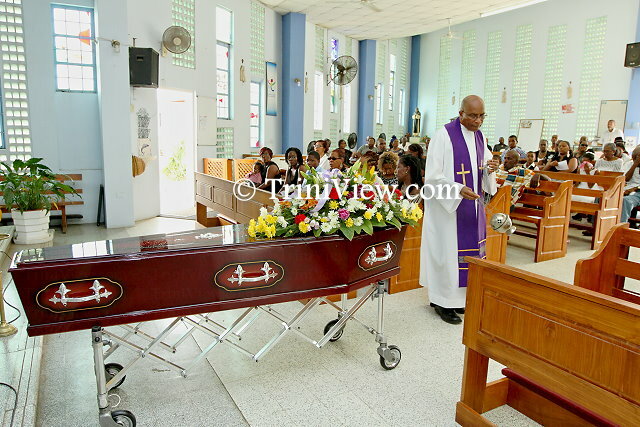 As Augustin Noel’s coffin was lowered into the earth, hymns were sung and those who stood witness to the interment of a local titan eulogized him in their own way amongst the graves. Some of the families for whom he fought were in attendance. 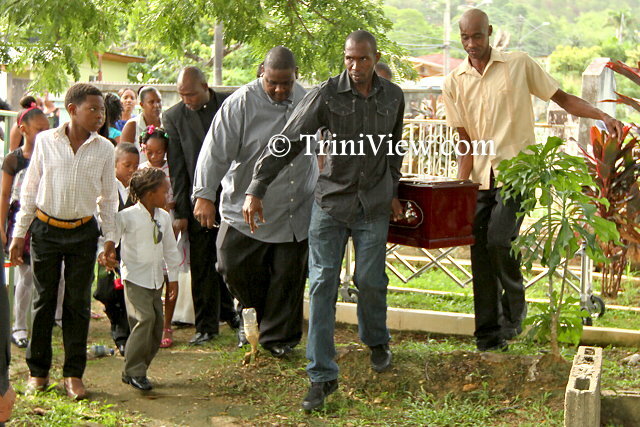 Cosmus Brewster remembered him as a respected figure in the village while Terry Joseph, a football coach, spoke of his leadership role for the Africans in Carenage. Joseph Richardson, head of the Guave Farmers Association spoke at length of Noel’s assistance to the Association in their own struggle to retain their lands in the face of the Chaguaramas Development Agency’s recent efforts to evict the farmers from their lands, and in so doing, deprive them of their livelihoods. He vowed that even though Augustin was gone, they would not give up; the struggle would continue. When will we tend to the wrongs against our people? Why does a Law Lord in another country who just do not give a damn about us judge us? Why do we not venture into the root causes of our ills and how it affected our society for hundreds of years from slavery to the present? This is yet another dishonesty to our people that has gone uncorrected. Our lands unfairly taken from us remains useless to all and held by governments who do not give a damn about the people they are supposed to serve. Governments that have handed out Trinity Crosses to lesser minds against the wishes of Almighty God. Not forgetting a Judiciary that is of no use to the majority of the people who have become landless and simply poor stricken. An anthem that says every creed and race finds an equal place was always a big fat lie to most. We are just a bunch of disgusting hopeless hypocrites before the good Lord. Roger Toussaint, President Transport Workers Union, Local 100 of New York (2001-2009). This piece is more than an excellent eulogy and tribute to a great son of the land. Its a profound lesson and guide for the future. My family was also from Hart’s Cut. I was inspired by my meetings with Augustine Noel during my brief visits to T&T over the past few years and truly saddened to hear of his passing – a real loss for all decent minded people in T&T. Let the struggle continue, flourish and succeed, in his name! Augustin Noel, Nikkie, was always patriotic soul and valiant social fighter. Even before his pioneering efforts for Justice and compensation in the Chaguaramas lands issue, he wanted the very best for Carenage. I met Nikkie sometime around 1970. My family moved to the village around 1964 in one of the New Settlement houses and at the age of 16, I started a youth group in the Settlement called “Upper Carenage Youth Fraternity” with “Agents” as the off shoot Football side. At that time Nikkie was sailing on one of those Alcoa boats. There existed a number of Youth groups in the area: The Carenage Youth Movement; The second Carenage Youth Group; The Catholic Youth Organisation (CYO); The Anglican Youth Group; Campers Sports Group etc., etc. I, was instrumental in getting all those groups together so that whenever we made representation for fundamental issues, unity would display strength. While I plodded along, Nikki, now ashore, decided to support me and other well known Football players in the formation of Carenage United……… so that the club could register in the Port of Spain Football League (POSFL)….. Additionally, we wanted the county council to do some fixing of the savannah for our local football league games. Carenage then was a village bursting with sheer football talented players. The La Forest brothers and cousins; Angus Eve etc etc. Nikkie always supported my efforts with Football, village council and sporting matters. He gave me his complete unselfish and unstinted support and voted for me as President of Carenage United over the then son of the soil Hugh Francis. I will NEVER forget that contentious elections. But that’s the sway and purpose of a man who was passionate and dedicated about SERVICE to his community. I moved out of the village in the late seventies and eventually went abroad. I lost contact with my passionate brother. I missed his advice and support when I went through difficult personal setbacks. However, the very few times I saw him, his support and kindness NEVER wavered. Carenage will always be the village where I gained my social spurs and Nikkie was instrumental in assisting me along the way. The village is poorer today for his passing but rich in his legacy. On behalf of all those who he assisted in his welding training and those who he uplifted in spirit, I wish you spiritual speed as you journey to that next place. We shall meet in that beautiful morn……in the streets. Rest in Eternal Peace, bro…….